A nail art chance in Russia called Nail Sunny is always making waves with its new nail designs. When it comes to their creations, people either love them or hate them. They can range from beautiful pieces of art to crazy, over-the-top designs. The most recent design includes long strands of hair attached to the nails. It looks like each nail has its own ponytail. 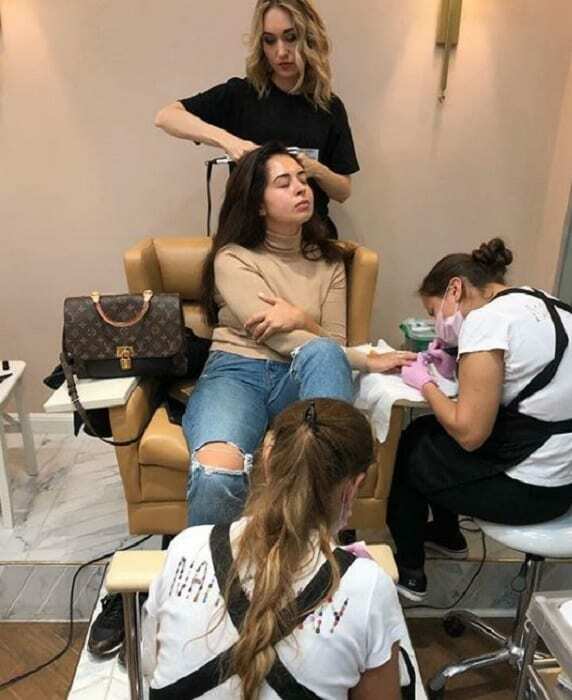 The salon posted a photo on its Instagram page showing off the design and asking followers if they thought it might be a new trend. The salon got a lot of comments, and it seems like most people thought this was pretty out there. Most of the time, the designs are pretty tame and popular. They range from glossy, bright colors, to muted mattes. The nail salon does nails for all types of events and special occasions and also has regular customers who just pop in for touchups or when they want something a little different. Nail Sunny is really good at doing things differently. 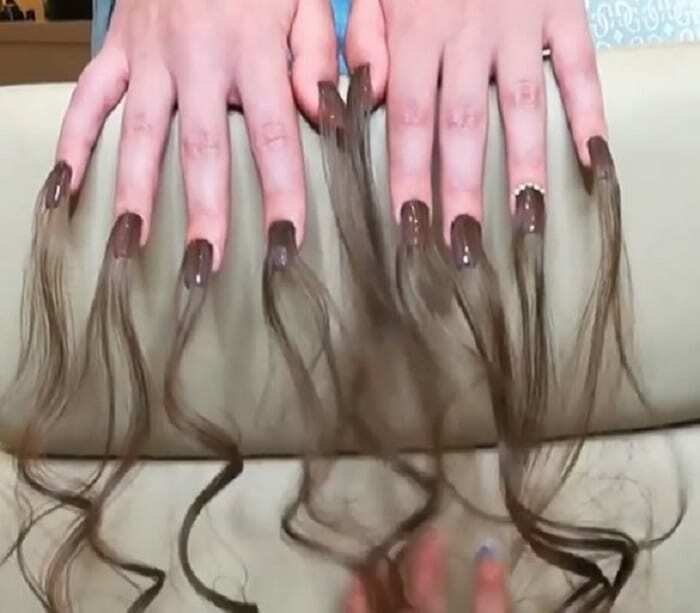 These hairy nails aren’t the first weird design the salon has produced. Nail artists recently created nails with curlers on the tips, too. These are perfect if you are running late and don’t have time to curl your hair before you leave for work or school. You can just do it in the car or on the bus with your nails. It’s also the perfect complement to the hairy nails. 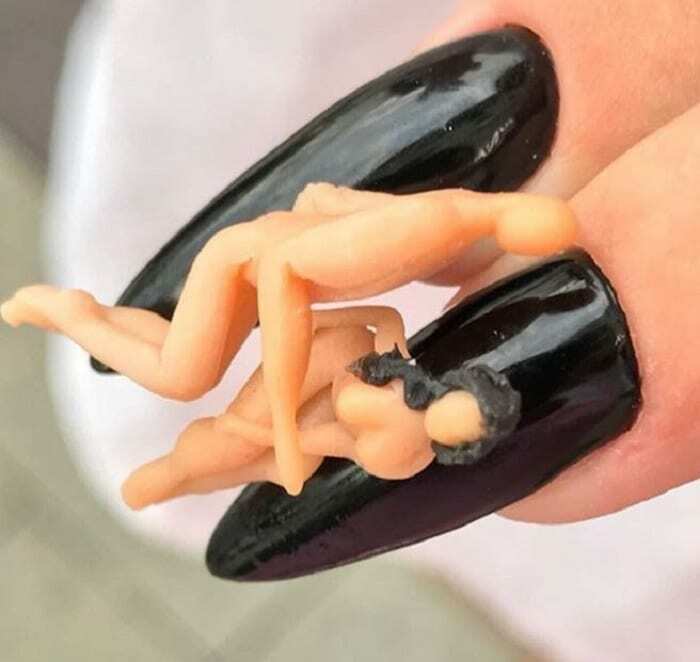 The salon has also done nails with hair brushes, nails with athletes’ faces on them, nails with nails sticking out of them, and even creepy monster nails that are perfect for Halloween. Of course, these nail designs also got mixed reviews. 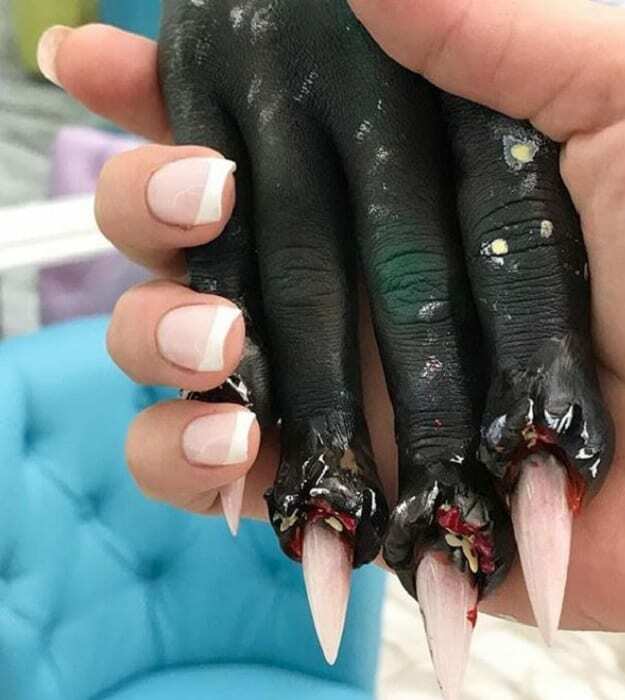 Even those who don’t necessarily like them have to admit that the nail artists behind these creations are amazingly talented, and these nails are works of art. Some artists use clay, some use canvas, but these artists prefer to express themselves on other people’s fingernails. The Nail Sunny team takes pride in the designs, and the company is honored to have so many amazing nail artists working there. Managers search for the best and are very picky about who they hire for their salon. The salon also does hair. 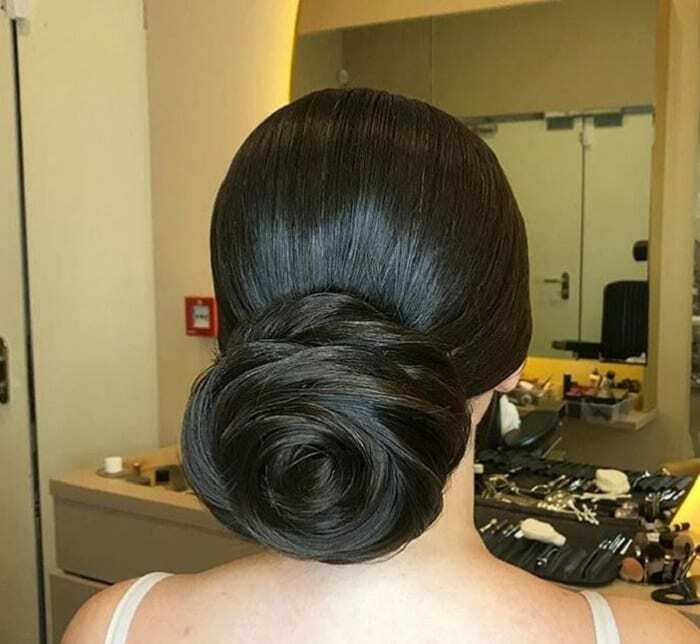 The salon has posted some of the hairstyles on the Instagram account, as well. So far, the staff hasn’t designed anything too outrageous, however. The best thing about Nail Sunny is that the staff is happy to meet the needs of every client. If a client walks in and asks to have pigs put on their nails, there is an artist who will do it. If you have a chance to stop into this unique salon, don’t miss it. You may walk out with some crazy new nails.